With paddle boarding being one of the fastest growing sports, the chances of finding the right board for you is greater than ever. 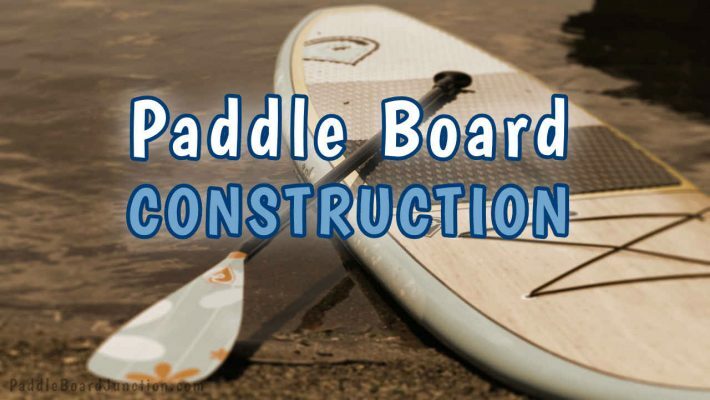 Paddle boards come in all types, weights, and sizes, and an SUP’s dimensions are one of the most important factors when finding the perfect board. The length, width, and thickness is decided by the type of boarding you intend to do and your level of experience, while the weight depends on what it’s made of. Each of these components (length, width, thickness, and weight), have their own effect on your SUP adventures. Length affects speed, agility, and is usually the biggest difference among the various types of boards. 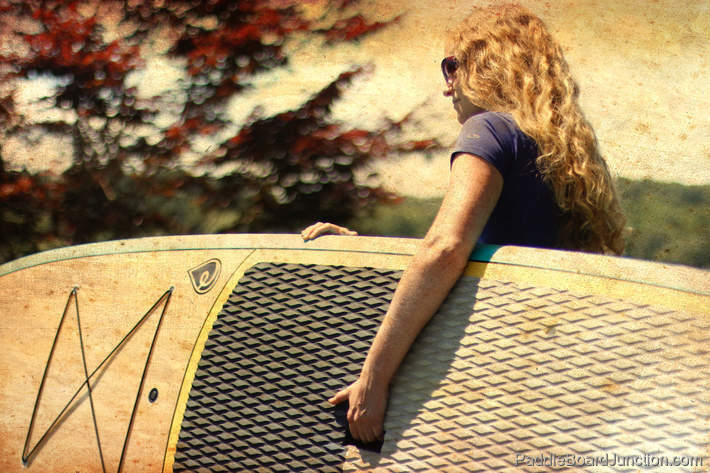 The longer the board, the easier it glides through the water and picks up speed. However, longer boards are more difficult to steer. Shorter boards are slower, but easier to maneuver in rougher conditions, like ocean waves. Width and thickness relate to volume, which determines the weight capacity and stability of the board; the wider and thicker it is, the more weight it can carry and the easier it will be to find your balance. Beginners should get a wider board as they learn and become accustomed to the sport, while more experienced SUPers looking for a challenge should go for something more narrow. 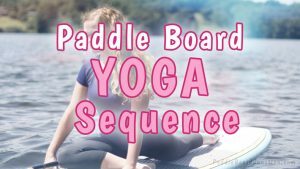 Wondering how much do paddle boards weigh? The weight of your SUP mainly depends on the material used to make the board, (though size is also a big factor), but they weigh anywhere from 15-40+ lbs, with most boards typically being between 24 and 30 lbs. 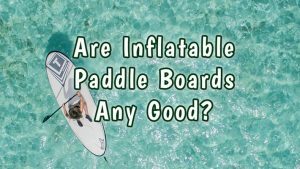 Inflatable boards and soft tops are usually the lightest, around 20-27 lbs. Fiberglass resin / epoxy is next, from 24-32 lbs. The heaviest, however, are plastic boards, which usually weigh well over 30 lbs. Weight can also be an indicator of durability. Lighter boards are easier to carry, but can also be more likely to ding. Heavier boards, though more tedious to transport, but are usually less likely to be damaged. However, very heavy boards can be harder to handle, putting them at a higher risk of being damaged. So, I would recommend a board in that mid-range of 24 to 30 lbs because they aren’t too difficult to transport, but are also fairly durable. For an easier estimate, click here for a calculator that will give you the approximate volume you need! SUPs come in four major categories: all around, surf, racing/touring, and yoga. Each one has its own purpose, so the dimensions of each stand up paddle board will vary. All around boards are great for all skill levels, and are the recommended board for beginners. These SUPs are typically between 10 and 12 feet in length, and 29” to 30” in width. Their wider frame is what makes these boards more stable. 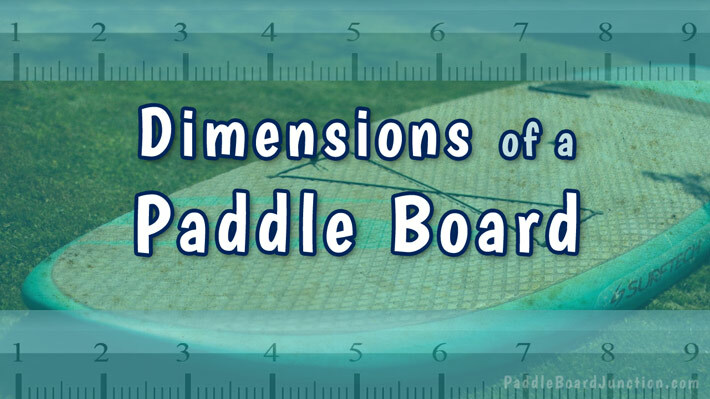 All around boards are also common because they can be used in flatwater lakes, rivers, and even smaller-waved ocean conditions. 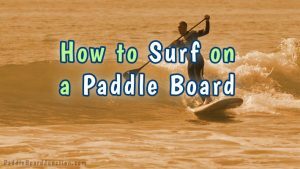 Surf paddle boards are the shortest type, usually measuring 9-10.’ This shorter length is necessary for making quick maneuvers and maintaining course on the waves. They are also usually narrower than all around boards, making them more difficult to ride for beginners. Racing boards are the longest type, ranging from 12-14’ in length. This makes them go straighter and faster as they glide on flatwater, but difficult to steer. These boards have a narrower frame, as well, making them harder for beginners to balance on. Length- determines the speed and maneuverability of the board. Longer boards are faster and keep a straight path, but are tough to change course. Shorter boards are slower but better for waves because they are easier to steer. Width and thickness (volume)- the wider and thicker, the larger the volume. The larger the volume, the bigger the weight capacity and the more stable the board. Beginners should look for boards with greater volumes because they are easier to balance on. Weight- The weight of the paddle board mostly depends on the material, but size is also a factor. Lighter boards are easier to transport, and heavier boards can be more durable. 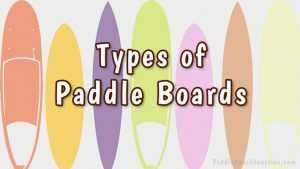 Type of boarding: determines what type of SUP you need. The different types vary in size. One of the most recognizable differences is the length. With so many options for paddle board dimensions, it can be difficult to choose the right ones for your SUP. Keeping these tips in mind will make the search easier and faster, and you’ll be out on the water in no time!